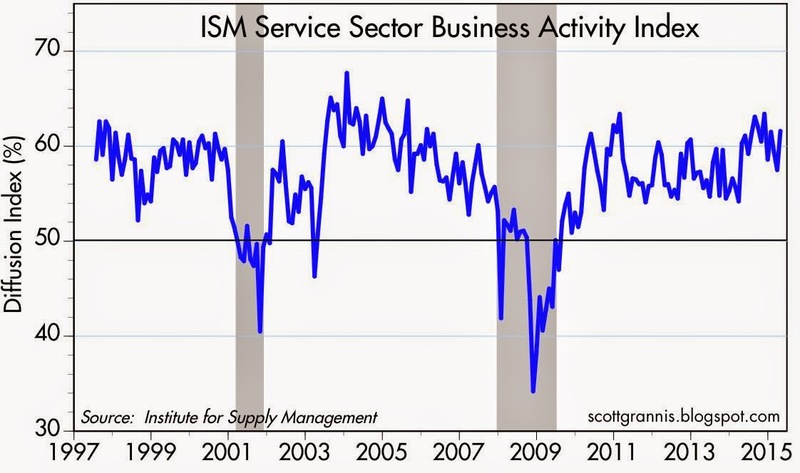 According to the April ISM service sector report, the service sector of the U.S. is doing just fine, thank you (it even beat expectations: 57.8 vs. 56.2). 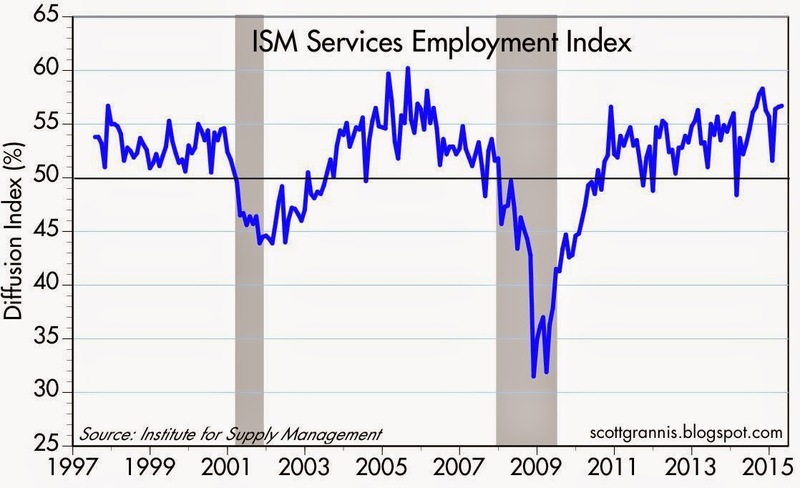 Same story in the Eurozone. They aren't booming or even accelerating, but they are in decent shape. Nothing ominous here, no reason to doubt whether these two massive economic sectors are in trouble or headed for a fall. The equity market remains skeptical, but the bond market is figuring this out, because 10-yr Treasury yields are up 55 bps year to date, and real yields on 5-yr TIPS are up 35 bps in just the past few weeks. If you had been asleep for the past 10 years and were shown these charts upon waking up, you would quickly conclude that the U.S. and Eurozone economies were in the middle of (or maybe two-thirds of the way through) a typical business cycle expansion. 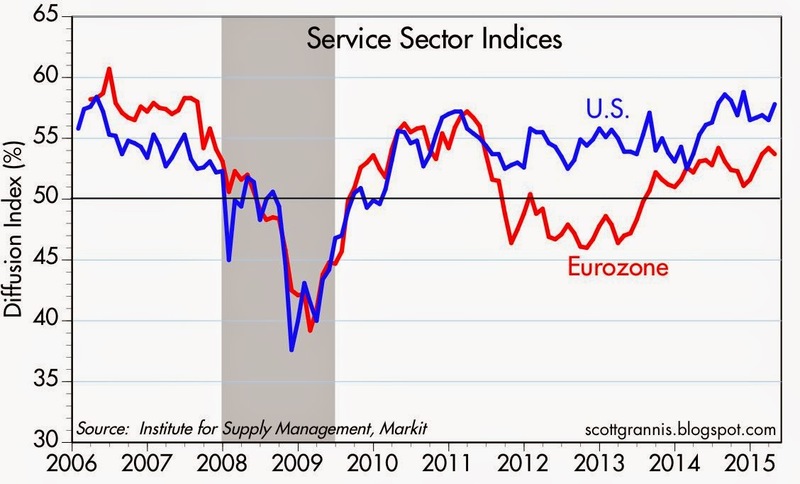 You would also conclude that the U.S. service sector was doing somewhat better than its Eurozone counterpart, as usual. Upon being told that the central banks of both these economic powerhouses had pegged short-term interest rates at near-zero for years, you would be at a loss for words.